Your home is your castle, and the door hardware you choose to accent it with offers the finishing touches for your home’s entryway. If the hardware in your Huntsville, Alabama, home is worn out, ugly, or outdated, you can easily update your entryways with new hardware from 31-W Insulation. We’ve been providing home improvement services for more than 40 years, so when you need a company that you can trust to improve your doors, you can count on the experience and professionalism of 31-W. Enhancing the style of your entryway – From warm, rustic looks to completely modern finishes, you can accent your home’s unique style by choosing from a variety of hardware designs that range from subdued to bold. 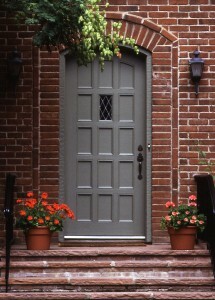 Improving your home without breaking the bank – Updating the hardware on your door is a great way to improve your home’s entryway without investing in an extensive renovation project. Investing in durable products that you know will last – Our hardware options include many from top brands to ensure that the products are strong and well-made so that they’ll last you many years. Increasing your home’s safety – If you want to improve the security in your home, we can replace your deadbolt with a keypad or other electronic lock system. We can even install Bluetooth-enabled locks for your door. In addition to these benefits, our technicians at 31-W are highly trained and will install your new door hardware with expert care and precision. We also make sure to complete installations quickly to minimize the disruption to your schedule, so you can enjoy your new and improved entryway in no time. To learn more about 31-W Insulation and having new door hardware installed in your Huntsville, AL, home, contact us today.